As part of the Japanese Language Programme’s efforts to raise awareness of how the Tohoku region residents in Japan strive to cope with the challenges caused by the triple disaster in March 2011, we will be showing two documentaries on January 21st, 2015. 2012 documentary film, 90 mins. 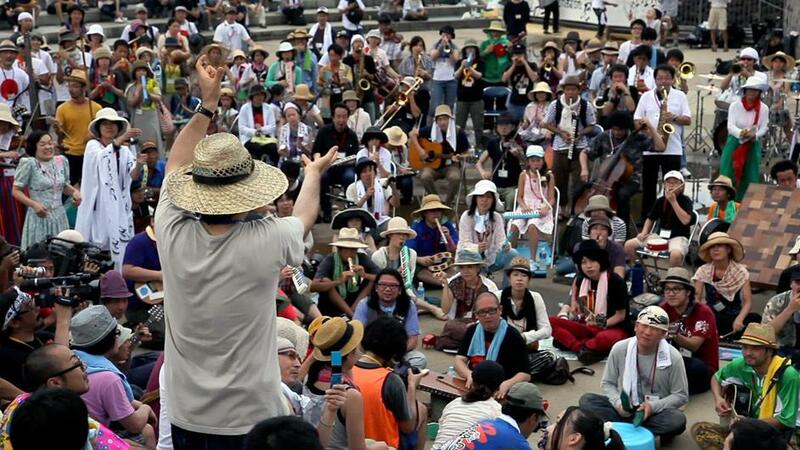 Five months after the nuclear disaster, a group of artists and musicians including Otomo Yoshihide held a festival in Fukushima city. Aiming to give visibility to Fukushima’s current state just as it was, they called the festival simply “Fukushima!” without any qualifying slogans or descriptions. This documentary film matter-of-factly follows their preparations leading up to the festival as well as the day of the festival itself and a few months afterwards. The film features music and poetry by Otomo Yoshihide, Michiro Endo, Ryuichi Sakamoto, Ryoichi Wago and people from Fukushima and other regions of Japan. It was not a typical festival since the organizers had to address questions such as: Would it be ethical to bring people to bring to Fukushima? What about children? And what would it mean to the people of Fukushima if the festival had to be called off after all due to radiation concerns? 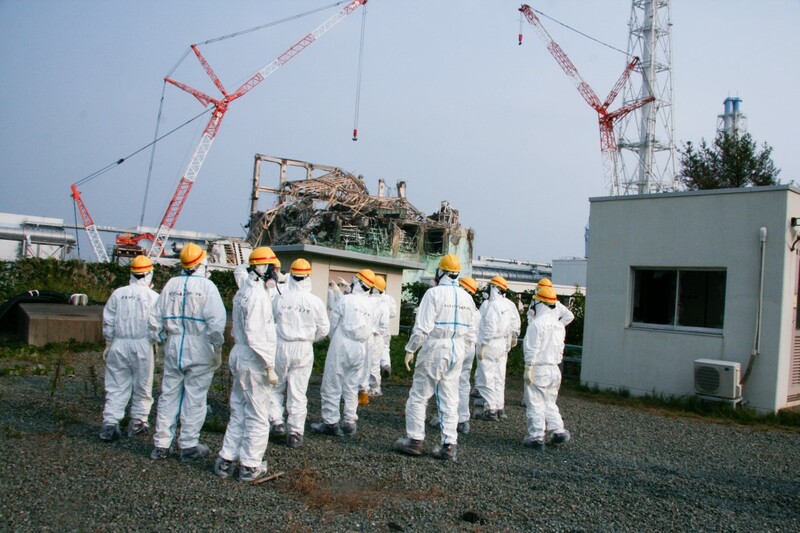 Throughout the movie we see hos the lives of people in Fukushima have changed and what the future might look like for the next few generations. In their organization and hosting of the festival we see reflected the new realities of daily life in Fukushima as well as a humble but strong dedication to building a brighter future. The film chronicles their efforts with artful simplicity to deliver an important lesson for all of us. 2013 documentary film, 17 mins. It’s been three years since the meltdowns at the Fukushima Dai-ichi Nuclear Plant. The first responders celebrated for saving the country from nuclear collapse are gone, as are the news cameras. But the plant remains vulnerable until it is completely dismantled. On the front lines are many young men from neighboring villages, like 26-year old Atsushi Endo. The Nuclear Village is an intimate portrait of this Fukushima native whose hometown was made uninhabitable, but has stayed behind to do his part in resolving the crisis — a process estimated to last another 30 to 40 years.